I’m all about simple, quick meals that don’t require much clean up! How about you? One-pan, one-pot… I love them all! Typically if I make pasta (gluten free, of course!) I always make a veggie dish on the side. We don’t eat pasta often, so I save it for really busy days when I know I’ll be tired or won’t have time to spend cooking. Since pasta is my go-to quick meal, I thought why not save even more time and cook my veggie with the pasta! You guys, it was such a hit! This is now my favorite quick meal! 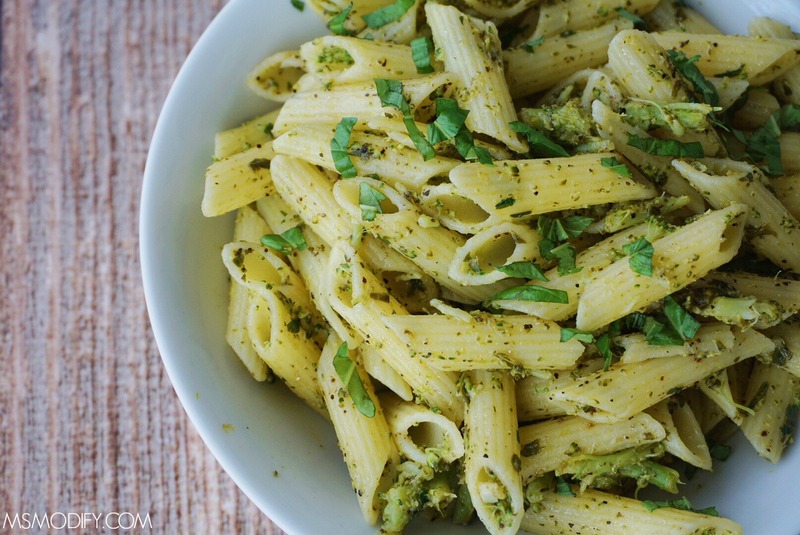 Since pasta is my go-to quick meal, I thought why not save even more time and cook my veggie with the pasta! 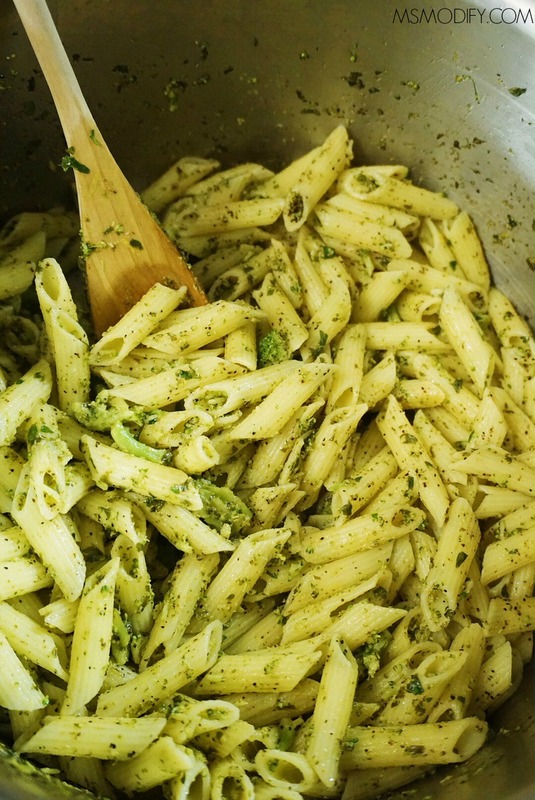 When water boils, add pasta, broccoli and 1 Tbsp olive oil. Cook according to pasta instructions for al dente (don’t overcook!). 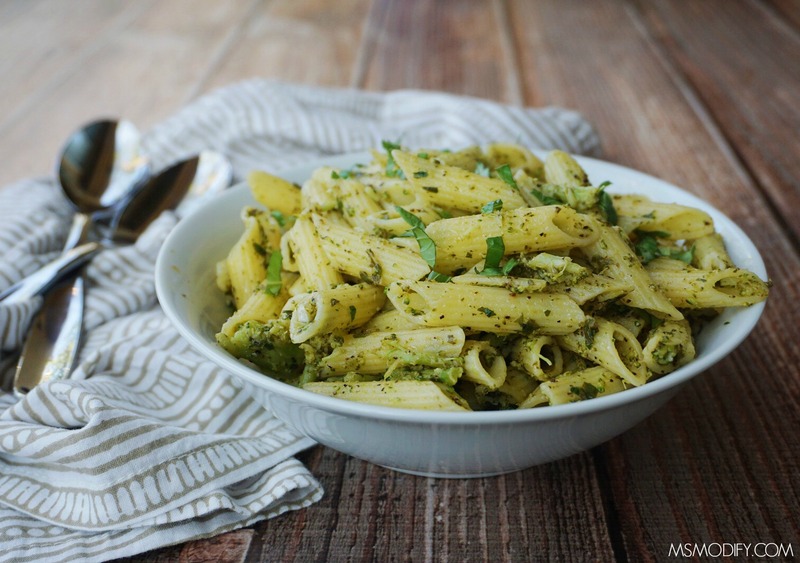 Drain pasta and broccoli, reserving 1/2 cup of the pasta water. In a mini food processor, add parsley and basil, pulse until chopped (not puréed). In a small bowl, mix 3 Tbsp olive oil, lemon juice, lemon zest and chopped herbs. Return pot to stove over medium heat and add 1 Tbsp of olive oil. Add garlic and cook until golden. Reduce heat to low and add pasta and broccoli back to pot. Mix in your oil/lemon/herb mixture. Mix everything well and smash any large pieces of broccoli to break them up. 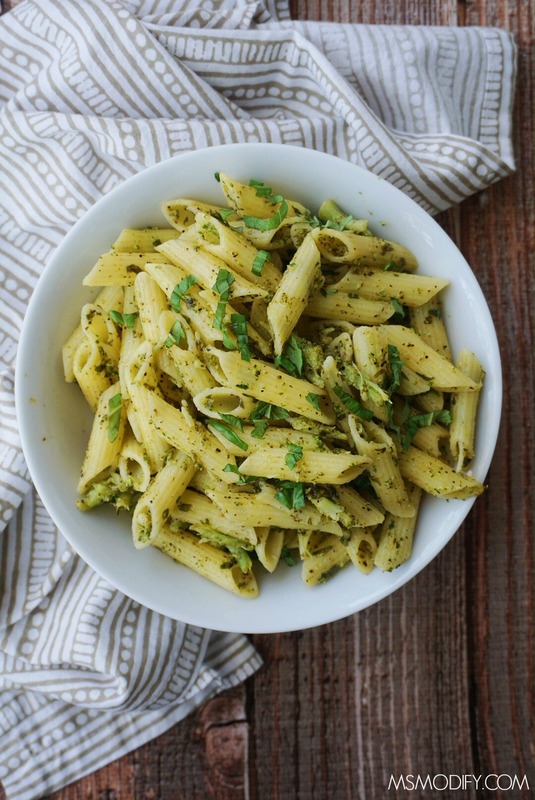 This entry was posted in Recipes/Dining Out and tagged one-pot, pasta, simple recipe, vegetarian.